Dee's Downstairs Comedy may be the upcoming event you’re looking for. Dee's Café and Venue and Hello Pecia Productions have been bringing you comedy all 2018 and now we wanna say a big Merry Christmas by bringing you a lineup show of some of the amazing comedic talent from Dunedin and Christchurch. Your host for the evening will be the wonderful Chewie - Comedy man. 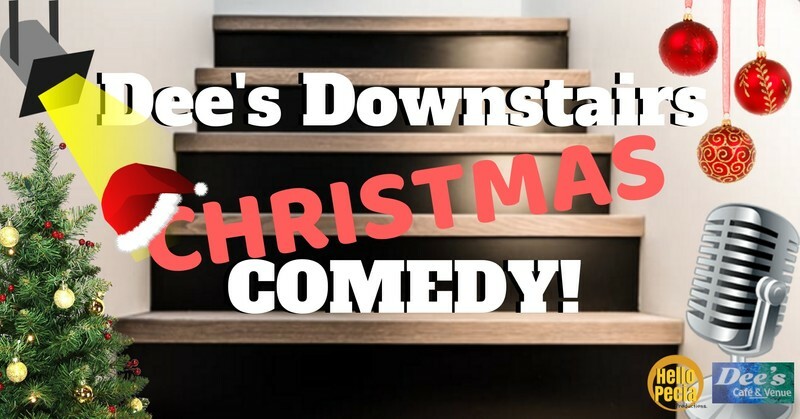 Restaurants to book near Dee's Downstairs Christmas Comedy!